Home > Other Sites	> How many cities can you identify on the back? How many cities can you identify on the back? Is that Turin, Italy in 2015? Is that Atlanta? 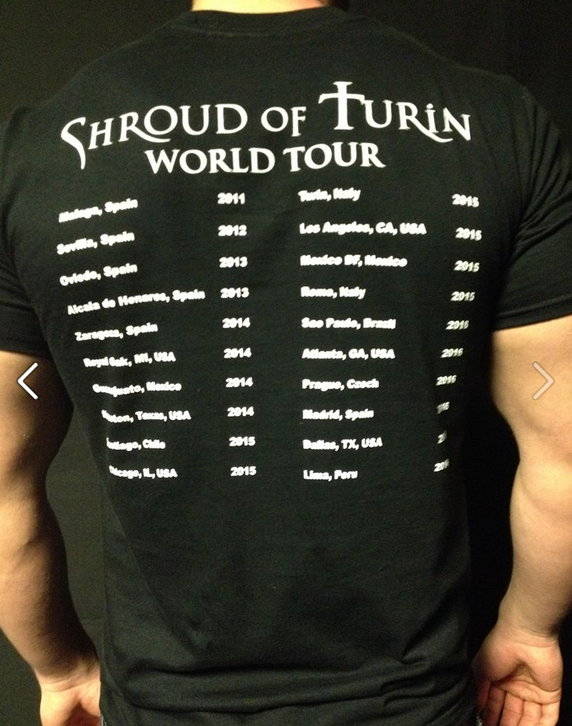 Turin, LA, M.DF, Rome, São Paulo, Atlanta, Prague, Madrid, Dallas & Lima. Meet the 21st century equivalent of the Lirey badge. 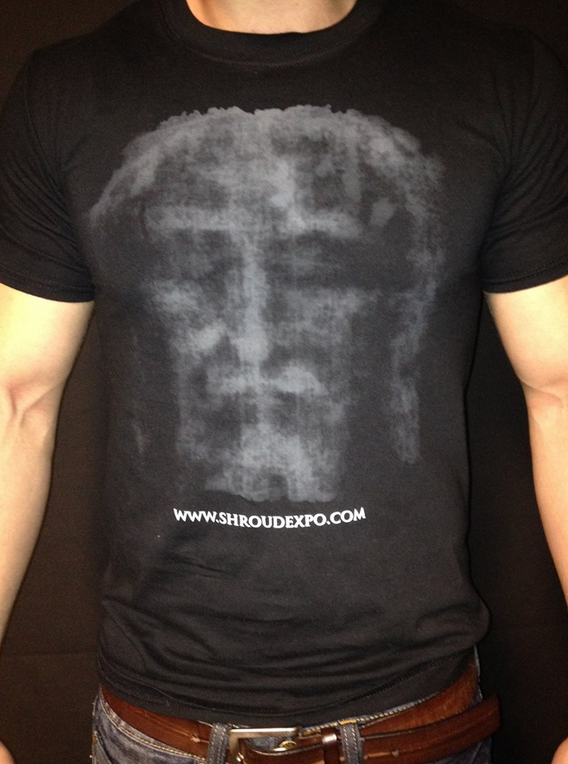 And 700 years from now art historians will argue that the T shirt is proof that the shroud has faded. I’m not a fan of putting this image on t-shirts. It’s disrespectful.